Dr George Panthanmackel, born on 19-01-1959, is Professor of Philosophy at SuvidyaCollege, Bangalore. He has also been a Visiting Professor to several other Institutes teaching both graduates and postgraduates, always an excellently rated Professor. He has the professional experience of 24 years as a teacher. He has already taught several subjects: Metaphysics, Epistemology, Philosophy of Religion, Philosophical Anthropology, Methodology, Sociology, Public Administration, Political Science, History of Western Philosophy, Contemporary Indian Philosophy, Marxism, Trinity, and English Literature. 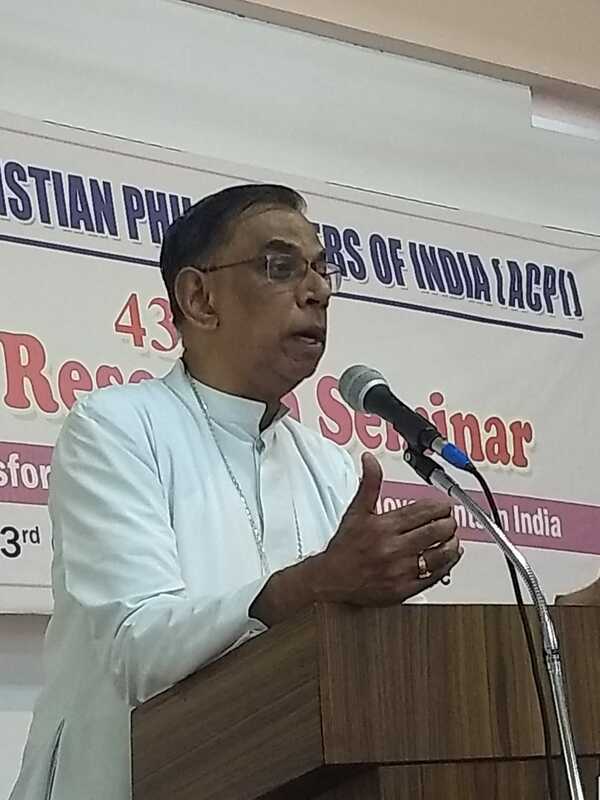 He holds three Doctorates: Doctor of Philosophy, Western (Innsbruck, Austria), Doctor of Philosophy, Indian (Bangalore, India), and Doctor of Theology (Bangalore, India). He has authored seven books and edited one. His books are the following: (1) NATURE OF JESUS CHRIST ACCORDING TO KARL RAHNER, (2) ONE IN MANY: AN INVESTIGATION INTO THE METAPHYSICAL VISION OF KARL RAHNER, (3) COMING AND GOING: AN INTRODUCTION TO METAPHYSICS FROM WESTERN PERSPECTIVES, (4) A FORM IN FORMS: THE FORM OF POSTMODERNISM, (5) IN STRUGGLE AND DIALOGUE WITH: A CONCISE HISTORY OF WESTERN MEDIEVAL AND RENAISSANCE PHILOSOPHY, (6) SOCIETY IN BEING: METAPHYSICAL FOUNDATION OF SOCIOLOGY, (7) GOD OF LOVE, (8)THE CONSTITUTION OF INDIA: A PHILOSOPHICAL REVIEW (editor). In 2009-2010 (for one year from March to March), he worked at Indira Gandhi National Open University (IGNOU) as Senior Consultant of Philosophy and organized its BA Philosophy Syllabus, especially by editing the entire 238 Units (Chapters). He has published about 80 research Papers / articles in national and international Journals. He has learnt 11 languages and 1 dialect: Greek, Latin, Hebrew, German, English, French, Hindi, Telugu, Tamil, Malayalam, Kannada, Lotha (dialect). He was Dean of Suvidya College, and Registrar of the same College from 2004 to 2009. 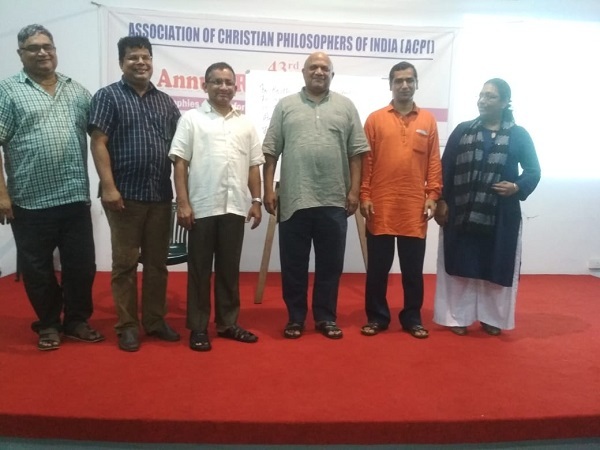 He has been the President of the Association of Christian Philosophers of India (ACPI) since 2006. He became a member of the Association in 1992 and served the same Association as a member on its executive Committee from 1994 to 2002, and as its Secretary from 2002 to 2006. He is the Chief Editor of the Fransalian International. 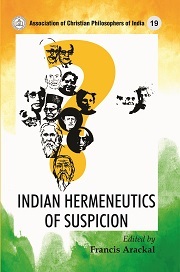 He is also on the Editorial Boards of Indian Journal of Spirituality, Suvidya Journal of Philosophy and Religion, and the Associate Editor of the ACPI Encyclopedia of Philosophy, 2010. He has participated in National and International Conferences, also presented Papers at some of them. He has also organized a few of such conferences.